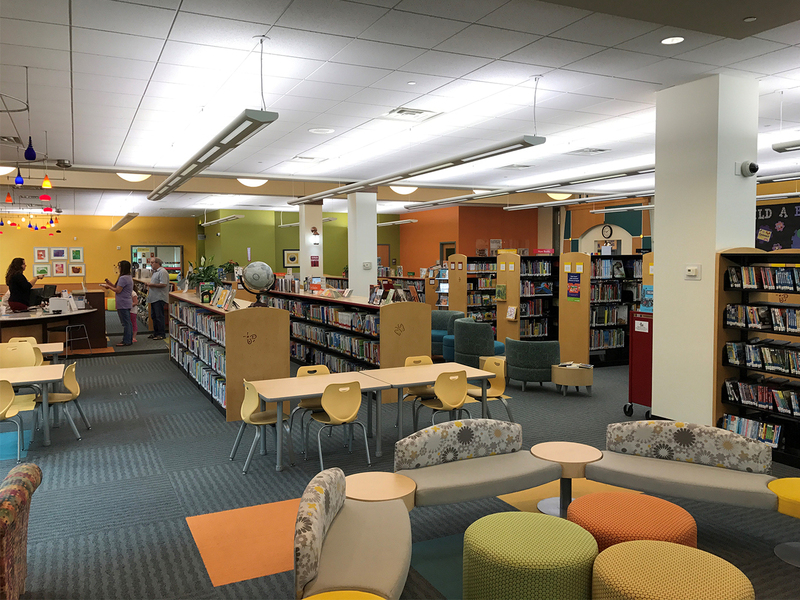 Kluber Architects + Engineers worked with Messenger Public Library administration to renovate the Youth Services Department. The work included an expanded service desk at a new location on the east end of the department adjacent to a new “off-desk” work space for staff. 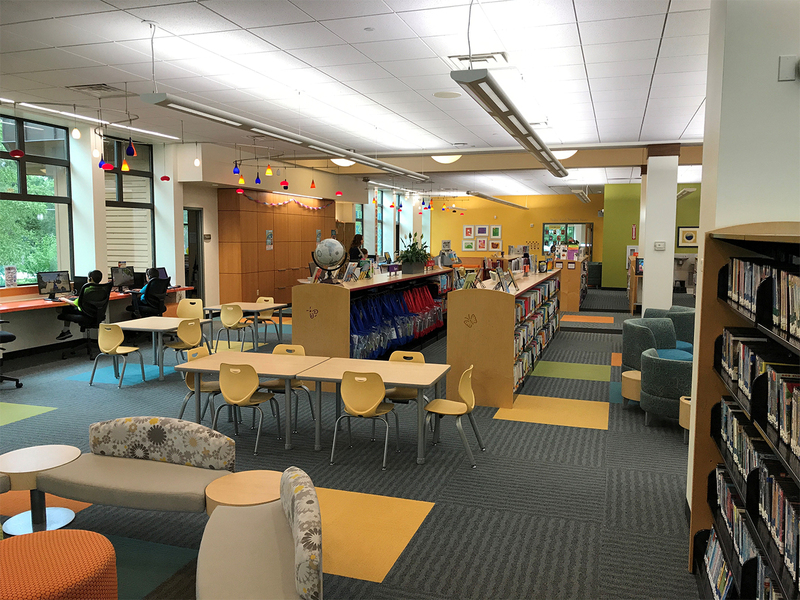 The expanded work space allows the youth program directors sufficient room to coordinate youth programs and activities for the constituents of the community. 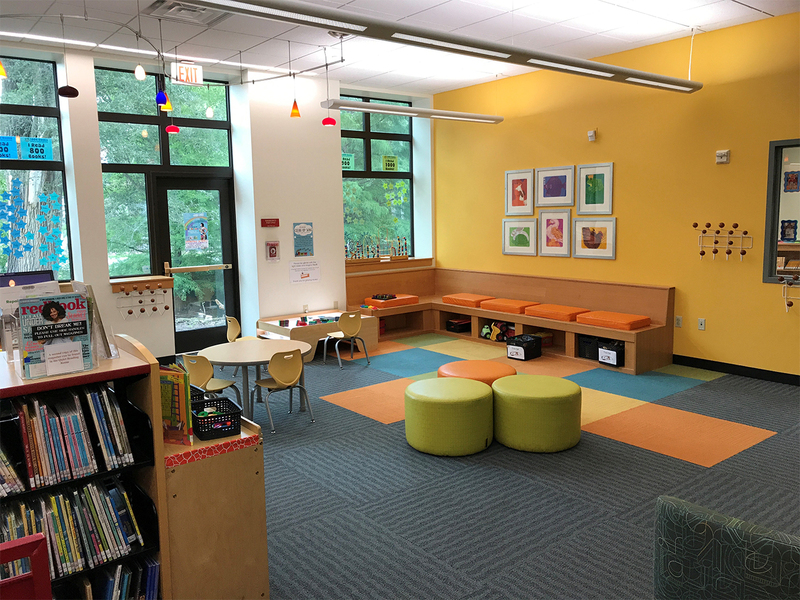 A multipurpose, youth program room was expanded at the south end of the department, which can accommodate up to 30 people for numerous group activities. The balance of the space was infused with colorful walls and carpet tiles to add additional visual appeal for the department. 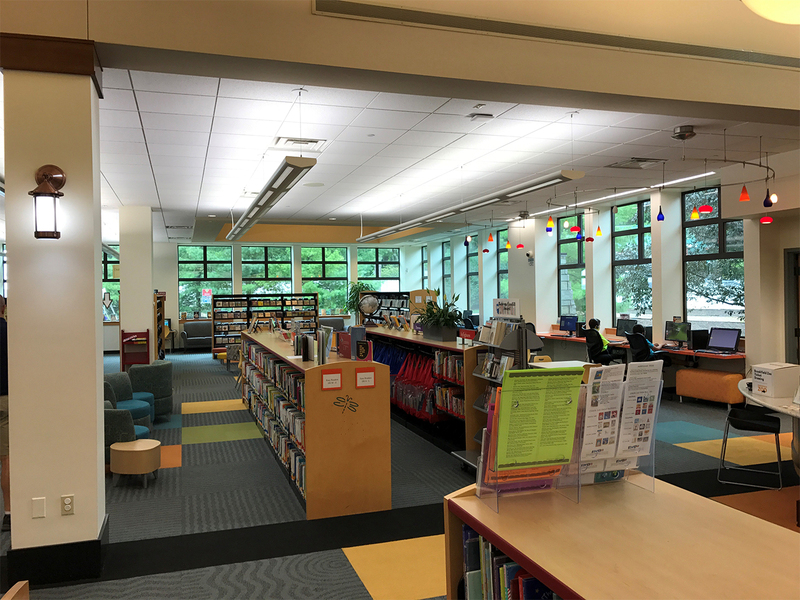 Book shelves were reconfigured to provide a more open feel to the space and to increase visual sightlines from the relocated desk to the book stacks. Newly expanded computer stations were relocated to the perimeter wall which allows parent & child to work side by side.